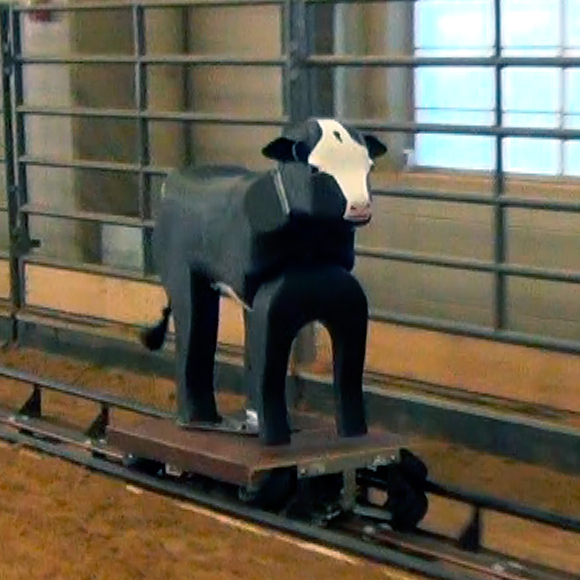 What is a RoboCow ? 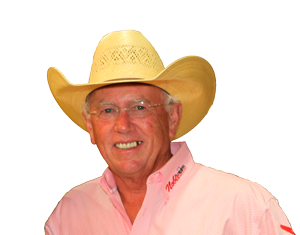 Check out our demonstration video ! Our new higher performance unit is coming soon. 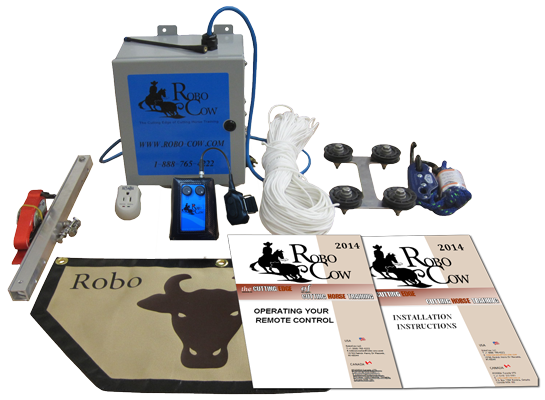 RoboCow is the new leading edge in cutting horse training technology. Portable - under 35 lbs (16 kg)! All RoboCow components are made of high quality materials and modern technologies. * This product is not included in the standard RoboCow set. If you want to have it in the shipping box, make sure that it is included in your order as an additional item. I have used every mechanical device on the market and none compare to Robocow. Robocow is smoother, easier and more versatile than any others I nave used. You can run everything from the hand control. 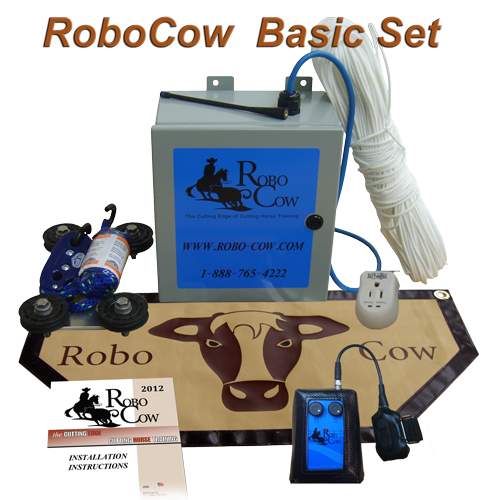 The technology in RoboCow has far surpassed the competition and the company stands behind the product. We recently introduced RoboCow to the European Cutters in Lyons France at the Mercuria World Series Show. It was busy from daylight to dark and several machines were purchased. One Time Choice and CD Boonsmal have been tuned on RoboCow. I have a RoboCow in my trailer and in my barn. I don't intend to be anywhere without RoboCow !!! Robocow Lift System Installation Instructions.